I posted my Rouge Bunny Rouge order recently and mentioned I'd do a comparison post comparing Orpheline ($40.33/3.5g) to blushes within a similar color category. The blushes I assumed would be close (photographic evidence says otherwise) were NARS Amour ($28 // 0.16 oz), NARS Gilda ($28 // 0.16 oz) and Tarte's Natural Beauty ($25 // 0.20 oz) because of the similar warm-strawberryness to their undertones. 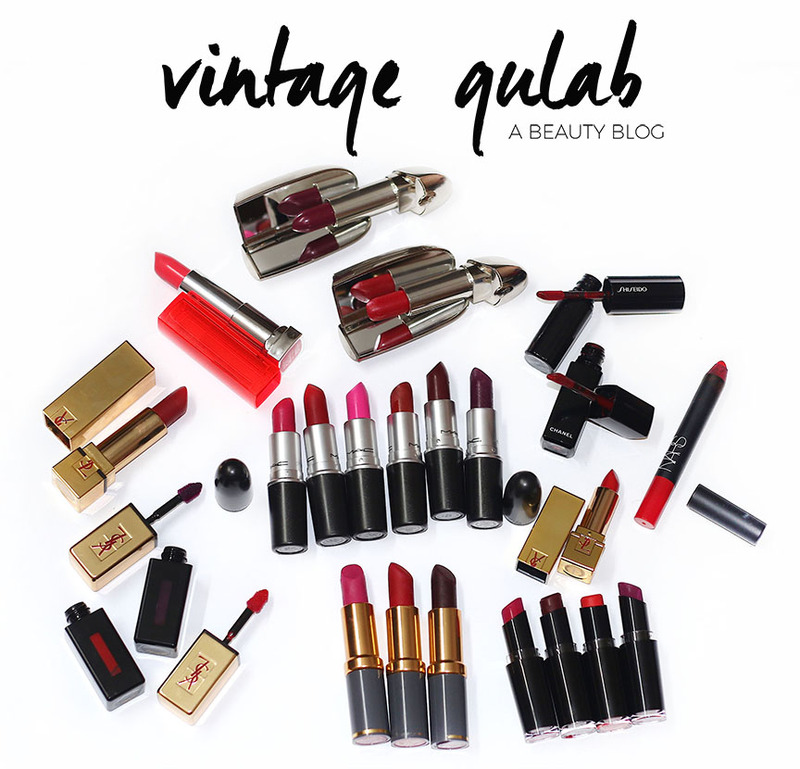 NARS' Gilda is described as a "coral with a hint of red'; NARS' Amour is described simply as a "peachy pink"; Tarte's Natural Beauty is described as a "muted strawberry red"; while Rouge Bunny Rouge's Orpheline is described as a "medium, warm strawberry". The formula varies amongst each line but generally NARS blushes tend to be the type which deposit a lot of product and generally fall under the "pure pigment" category and require a light hand. Tarte's Amazonian Clay blushes have a slight gritty-but-velvety texture which is both pigmented but easy to blend due to the slight softness of the formula. 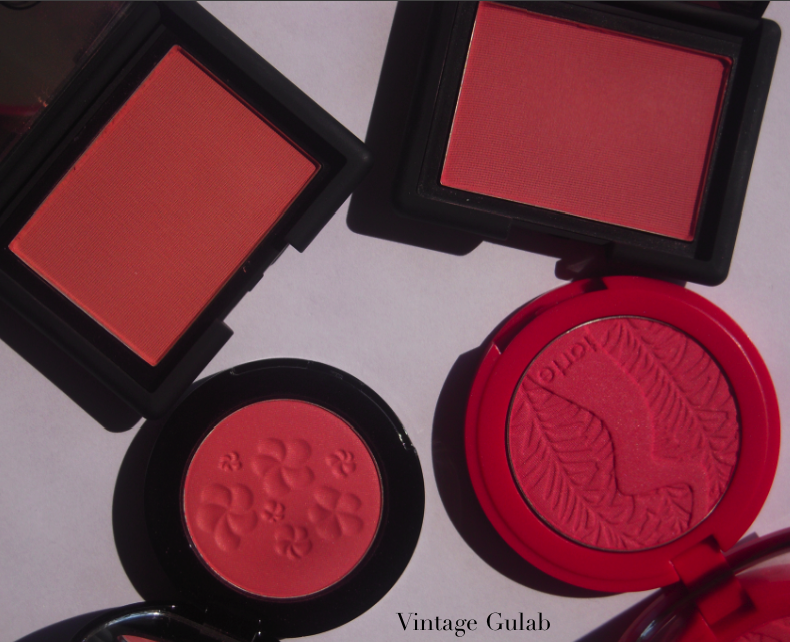 Rouge Bunny Rouge's blush formula is of the softer and more delicate variety and have the best of both Tarte and NARS blushes. As I mentioned in my previous post, Orpheline has a softness in the formula which makes it superb to blend and apply. Blushes of this category deposit pigment very evenly and blend away flawlessly. As for the color difference between the four, only Amour and Orpheline are pretty close dupes with Amour leaning a bit more warm-coral while Orpheline is pink. Natural Beauty is a much deeper than Orpheline while Gilda is only close to Amour due to its slight peachy-coral undertones. Of course, swatches determine the true difference. I swatched all four heavily below and Amour and Orpheline seem like spot-on dupes (minus the slight warmness in Amour) while Gilda swatches like a flat matte peach and Natural Beauty pulls red-pink. 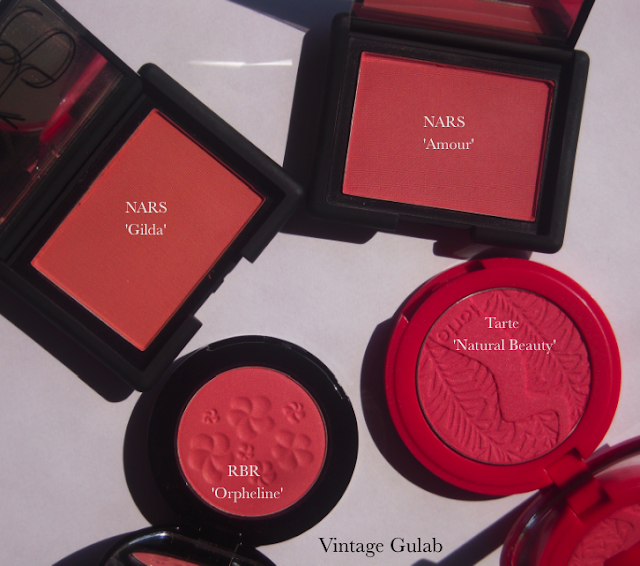 Formula-wise, I prefer Rouge Bunny Rouge and NARS but the color of Natural Beauty is gorgeous and uber-unique. Does having all 4 make sense? 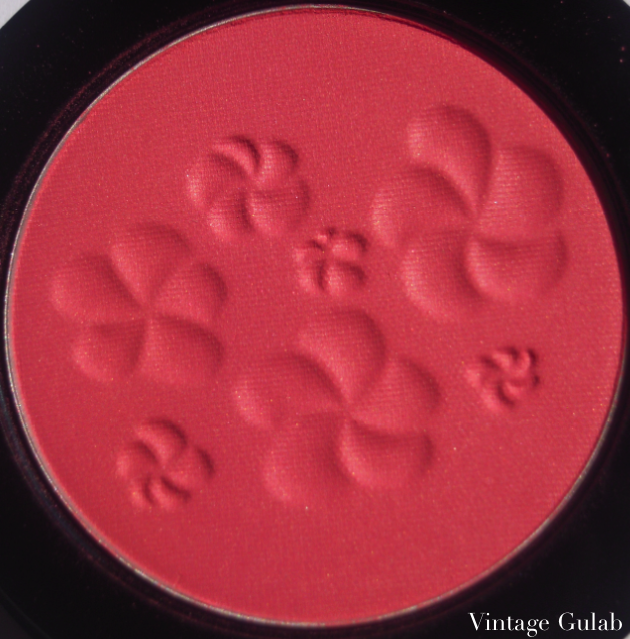 No, especially since Amour and Orpheline pull the same on the cheek, but if I had to choose between formulas, Rouge Bunny Rouge's Orpheline wins, hands down.